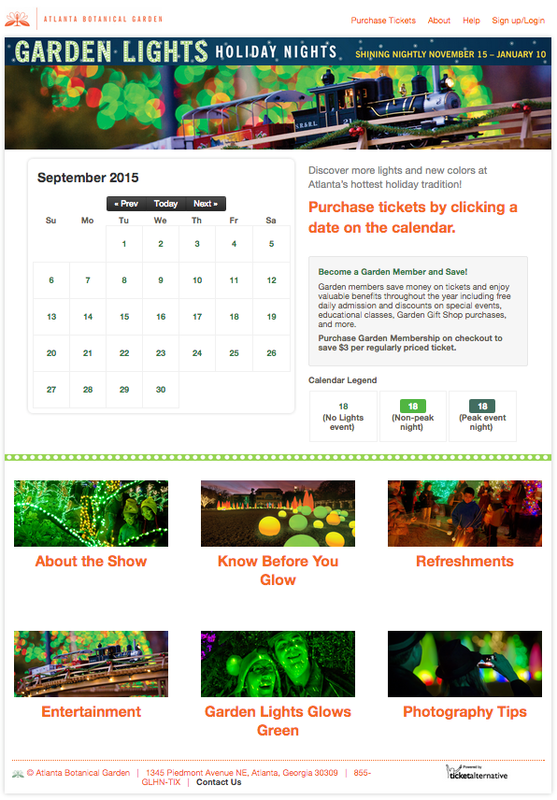 We offer ticketing for Museums, Science Centers, special Exhibits and more! From general admission to special events, we have a customizable ticketing solution to meet your needs. In addition, we provide dedicated marketing and on-site event support to ensure both you and your guests have an exceptional event experience. While Ticket Alternative is widely known for events sold on TicketAlternative.com, our Freshtix platform started life as a stand-alone ticketing solution for the Atlanta Botanical Garden. 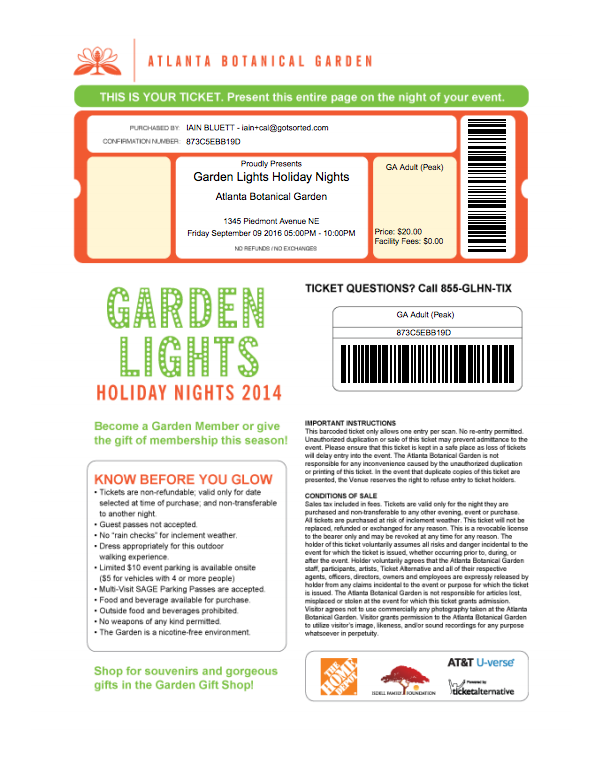 Already a Ticket Alternative client, the Garden approached us looking for a better way to sell tickets to their annual Garden Lights, Holiday Nights attraction. They required a simple solution giving their valuable members access to the discounted tickets included in their membership package. They also wanted to easily upsell the option to become a member to non-members. We developed a unique "Member-Match" feature for them that connected to their membership database (they used Blackbaud's Raisers Edge") to continually import & update their current active members in the Freshtix platform. As their members stepped through the purchase process Freshtix checked to see if they were a current member at which time the system automatically discounted their tickets. A simple one-page checkout (common in the eCommerce world, but not the ticketing industry until now) allowed users to complete their purchase with a minimal number of clicks. Ticket holders were emailed both a printable ticket and mobile ticket which they could simply show the barcode on their mobile phone. At the entrance to their event, the Garden used iPod Touches to scan the barcodes of ticket holders making entry very fast and smooth. Lost and forgotten tickets can be easily trouble shooted on the scanning device wavoiding the need to send patrons back to the box office. Freshtix provided numerous, customized reports including the number of ticket sales by date and time, 'heat maps' to show where ticket buyers were coming from, membership sales and of course, all their customer data (names/address/email address/phone number etc). To learn more about Freshtix Daily Admission platform for your botanical garden, museum, zoo or other attraction please get in contact with us. Contact us to get started and get your event listed today.